Are you moving to a new home or want to enhance the look of your current backyard? Finding the best look that matches your needs and preferences as well as complements your style can be daunting. It even becomes more difficult if you are working on a budget, but we’ve got you covered. Below is a list of illuminating features that will add zest to your backyard without breaking an arm and leg. Pick your favourites and modify your garden from a dull and bland space into an elegant and serene spot. Instead of buying raised beds or planters, you can recycle some items you already have at home to grow flowers and vegetables. For instance, you can use old pallets, terracotta pots, crates of wines or barrels, or old tires. Place the recycled planters at different heights or hang on a wall or tree to add dimension and to liven up your garden. You can also paint the planters in bold colours. Take the item of your choice, soak for an hour or more in water, paint it using water based paint or spray paint, hang it on a tree or wall, and fill it with flowers and trailing vines. The easiest way to change your backyard from a gloomy mood to a glamorous garden is to add some creative flickering light. 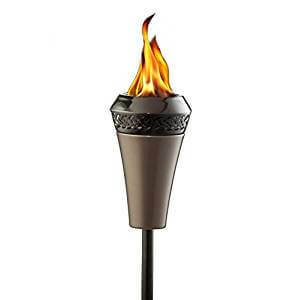 Tiki torches can give a warm and welcoming atmosphere at a low cost and can be used in various ways, for example, to illuminate pathways, light up the porch, liven up your outdoor dining area or add zest to plain fencing. You can use between 3 to 8 tiki torches based on the size of your yard. You can plant the grasses in bunches and include perennials for an all-year garden. If you don’t like the tiki torches, you may consider other alternatives for your outdoor lighting. First, you can consider what you have above your outdoor living space, for instance, a gazebo, tree branches or trellis. 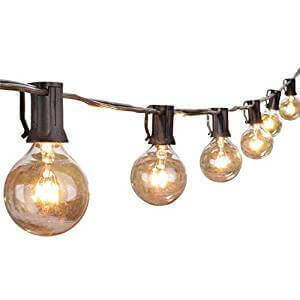 You can jazz up these features with some overhead lights to change the mood of your backyard. The strings of the electric light can work on almost anything with varying sizes, styles, shapes, and colours depending on your taste. If you want a cheap, but modern and attractive look in your garden, you can use gravel. It is durable and low maintenance. 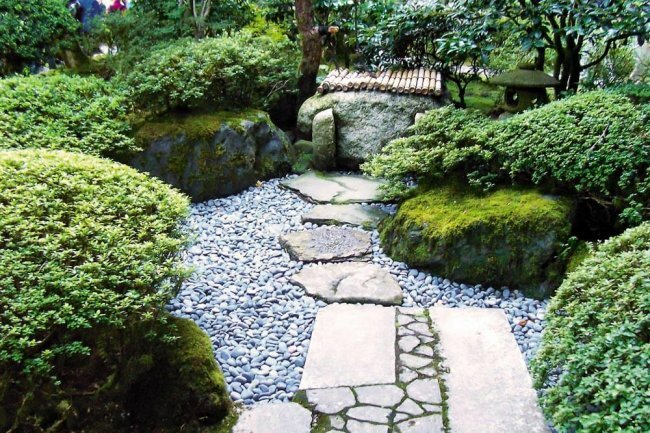 Use the gravel in spots where: plants cannot grow, there is poor drainage, there is intense foot traffic or an area that needs a contemporary look. You can also choose between two design styles when decorating your garden with flowers: a one-colour floral landscape or a blend of different colourful perennials. Does your garden have gaps and spots that have become a home for weeds and would like to transform it into a dazzling site? You can create a huge visual impact in your garden without breaking an arm and a leg using ground cover and pavers. Cinderblocks are among the cheapest, durable and versatile building materials for your backyard needs. 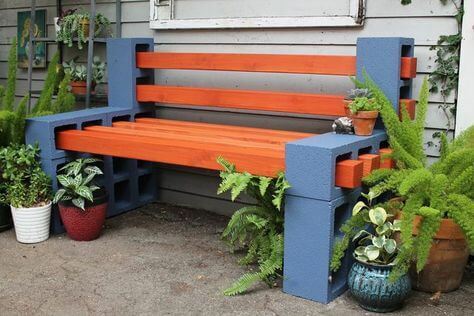 You can use it to build various garden features including a bench You only need to create a strong base from the cinder block then make a durable and weather resistant storage bench with a removable lid. The lid can be made from a piece of plywood, then wrap it up with a fabric of your choice. As a result, you will have a nice-looking seating area as well as a storage space. You see that old trump in your garden? Don’t even think about removing it! 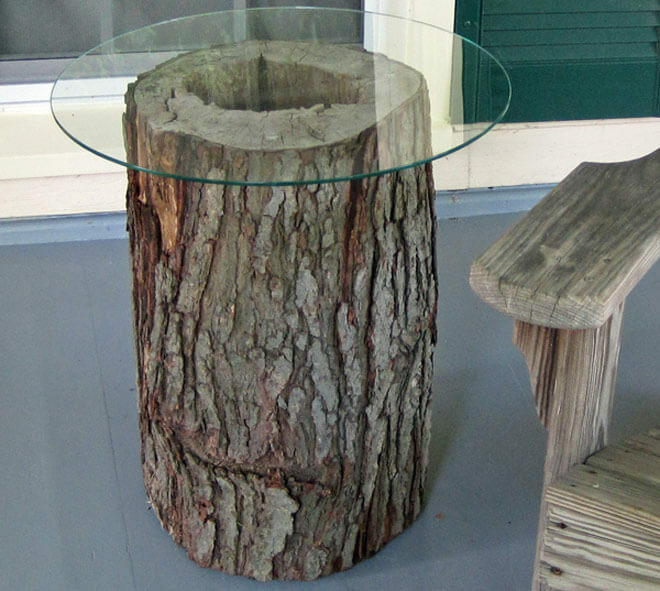 You can spruce up that old log into something stylish. 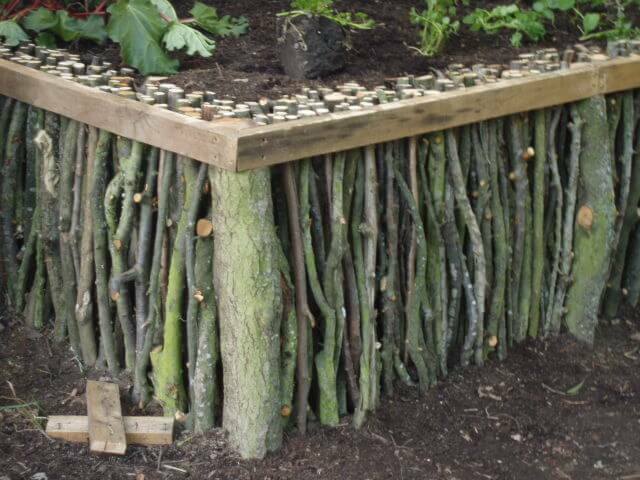 For example, you can add wooden or glass top and turn it into a coffee table, stool, or use two to three logs to make dining chairs. They will add an intimate feel, and you can add cushions to make them cosier. Fencing requires you to dig deeper into your pockets but doesn’t always have to be the case. For example, you can build a pallet fence, which would cost you nothing. 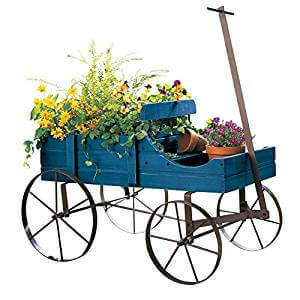 You only need a coat of paint, some plants and you are good to go especially if you are a DIY enthusiast. Pallets are significantly cheap, easy to build with, sturdy, and can be easily reorganised and moved. Butterflies are beautiful creatures that add colour and beauty to your backyard in summer and spring as well as pollinate flowers. So, why don’t you add something that will attract more butterflies as a reward for the benefits they bring to your garden? 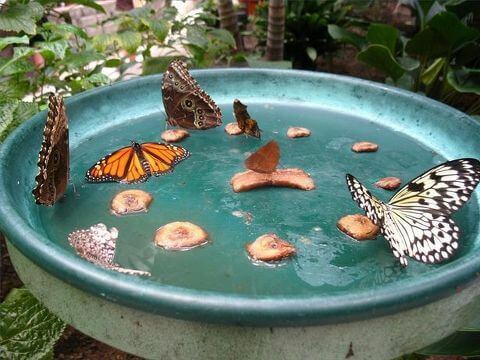 Although not all flowers attract these magical creatures, a butterfly feeder can be a perfect fit for this purpose. You can paint them with colours of your choice. Enhancing the look of your outdoor space is one of the many ways that reflects your style and personality. 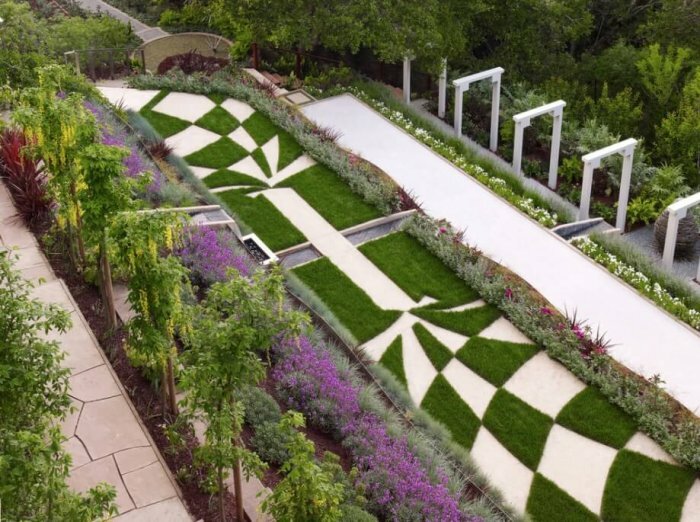 With our list of cost-friendly and DIY landscaping ideas, you can transform your backyard into a dazzling contemporary garden without breaking a bank. Also, the materials used are creative, low maintenance, free or cheap, and plants that need little water and care.